This chapter is one of the central parts in this manuscript. Here, the main reactor configurations are explained in details and some of the derivations are given here in full for pedagogical reasons. There are also some derivations which differ from some of the most used textbooks worldwide. Equations are repeated in this chapter when needed to allow for a better comprehension of the theory. 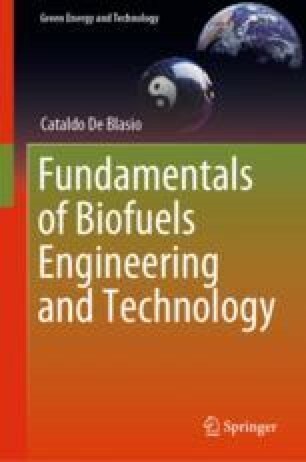 This represents the basis of the biochemical reaction engineering science and the author invites students to read this part carefully. The theory explained here is demonstrating that the chemical reaction kinetics is the core focus in modeling biological processes like growth, decay, product formation, and feedstock depletion and they are all correlated to each other. Who is aiming high, eventually, will more differentiate himself. That is when addressing at the great book of Nature, which is the own object of the philosophy; this is the way to rise our view. In the same book, although all that is read, it is as done by an Omnipotent Architect, and therefore the most proportionated. Galileo Galilei, 1632, Dialogue Concerning the Two Chief World Systems. Coker, A. K., Kayode, C. A. (Eds.). (2001). Introduction to reactor design fundamentals for ideal systems (Chap. 5). In Modeling of chemical kinetics and reactor design (pp. 260–423). Woburn: Gulf Professional Publishing. https://doi.org/10.1016/B978-088415481-5/50007-3.